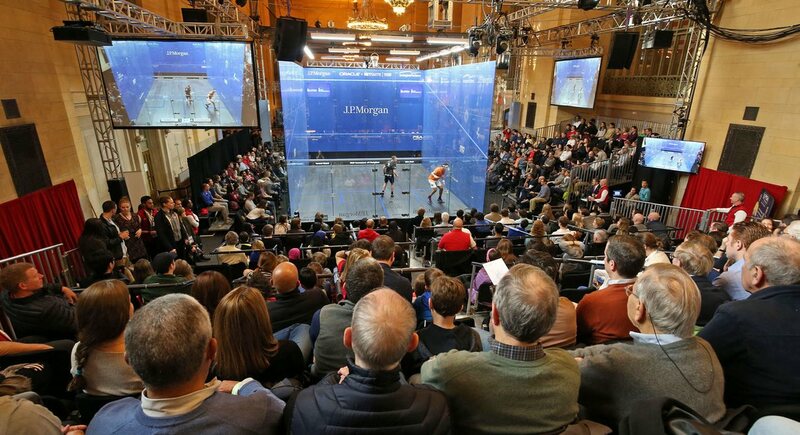 With a fourth day of qualification action still to go, Hong Kong China, India and Malaysia are already guaranteed medals in both the men’s and women’s Squash events in the Asian Games Team Championships at the Gelora Bung Karno Sports Complex in Jakarta, Indonesia. Defending champions and top seeds Malaysia can look forward to a rest day in Pool A of the Women’s event after claiming maximum points following a 3/0 win over Japan, the fourth seeds. The men’s team of Malaysia also did enough to secure a place in the semi-finals after beating sixth seeds Qatar in Pool B. 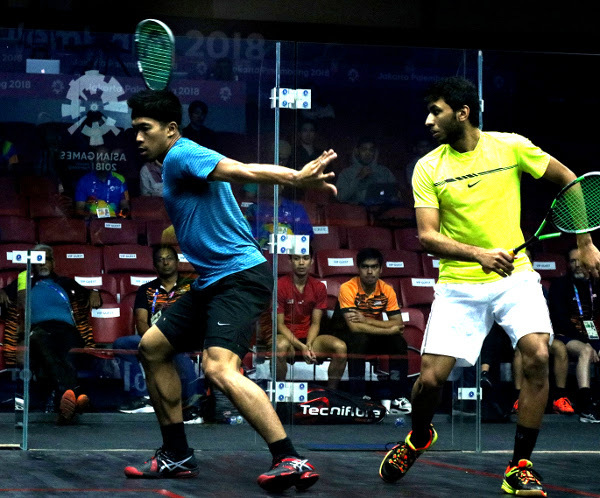 But the third seeds dropped the first match after Nafiizwan Adnan went down in straight games to the Qatari number one Abdulla Al-Tamimi (pictured below, right, with Adnan) – the fourth highest-ranked player in the event who has yet to lose a match in the team event. 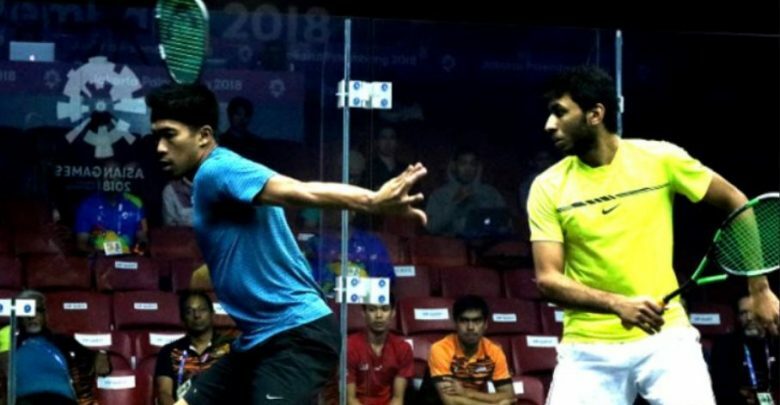 Rested after sustaining an injury in the individual event, world No.12 Saurav Ghosal made a welcome return for India and led the country’s second-seeded men’s team to a 3/0 win over Thailand – and a place in the semi-finals. 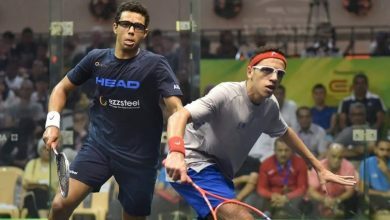 Hong Kong, favourites to win the men’s gold medal for the first time, beat key Pool A rivals Pakistan, the fourth seeds, 3/0 to ensure their place in the semis. 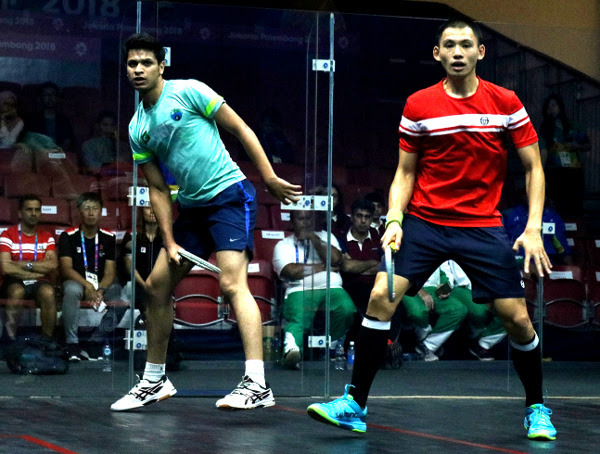 Individual championship runner-up Max Lee beat Pakistani Asim Khan (pictured below, left, with Lee) in four games to put Hong Kong ahead before singles gold medallist Leo Au clinched the tie win for the top seeds. 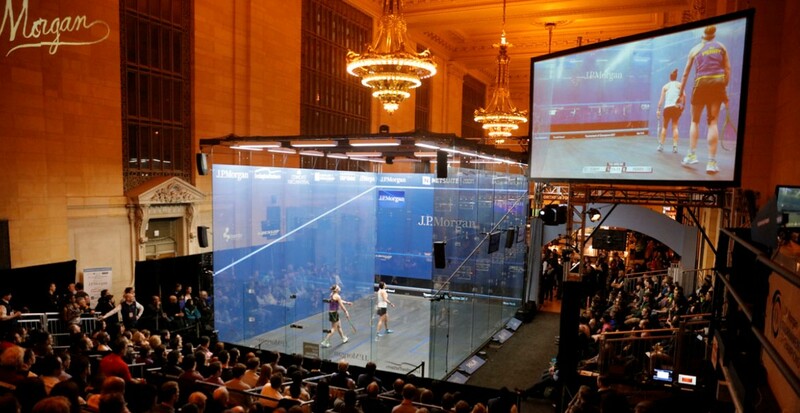 But, despite no chance of a semi-final berth, hosts Indonesia continued to create waves in the women’s event. 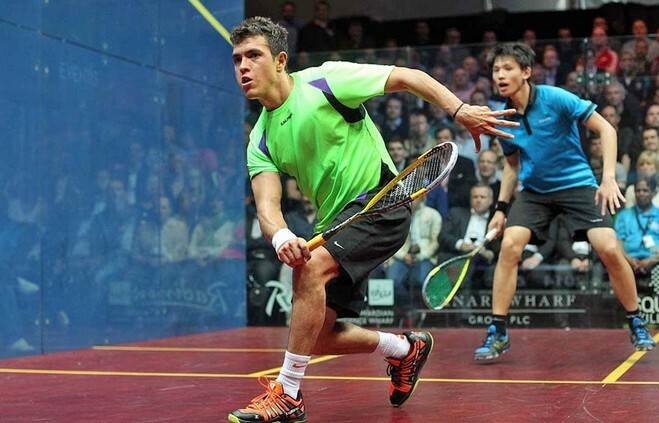 The 10th seeds, making their debut in the event, claimed their second upset after beating seventh seeds Iran2/1. 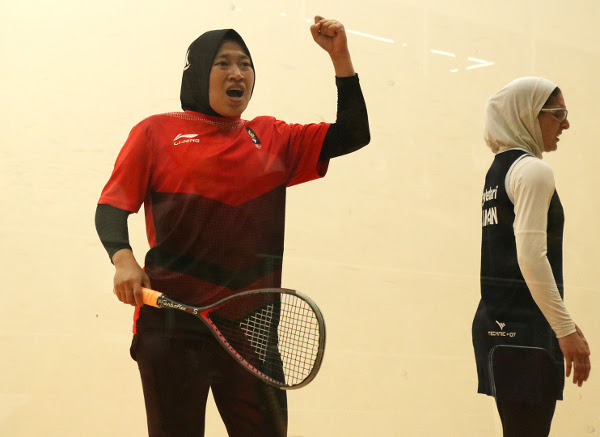 It was after team top string Catur Yuliana won the opening match that the home side’s second string Yeni Siti Rohmah clinched victory (seen celebrating below) after recovering from 2/1 down to beat Iranian Fereshteh Eghtedari 11-7, 10-12, 7-11, 11-8, 11-8.